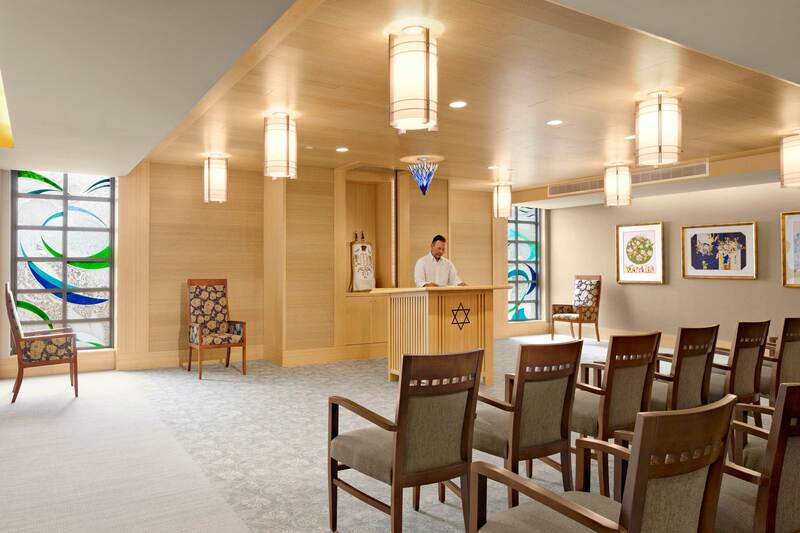 Chelsea Jewish Lifecare was looking to create a better nursing home, an environment in which they could improve and maintain the health of each of their residents by focusing on a holistic care-giving model. They wanted to create the country’s first Green House® community constructed within an urban setting. 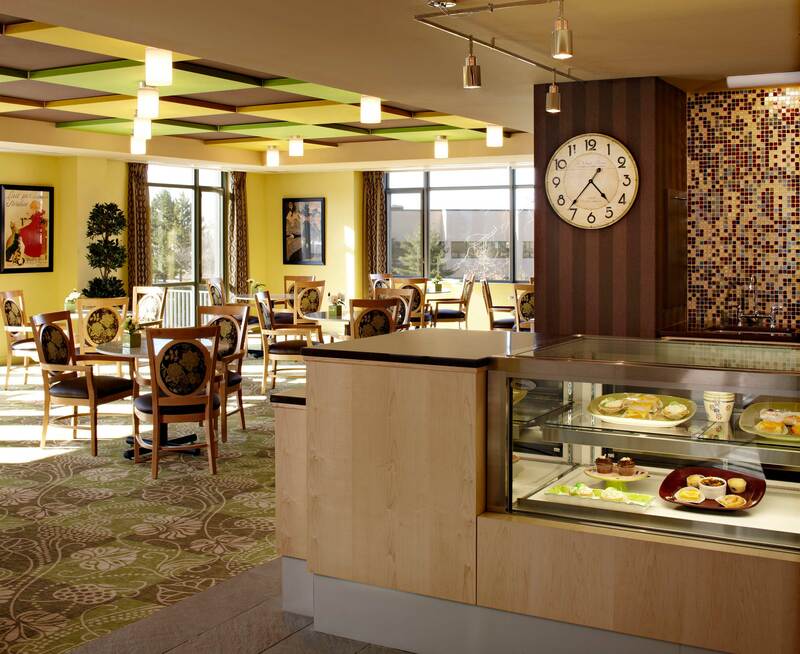 Following the guidelines set forth by The Green House Project ®, the design team worked out a design that made best use of the tight urban site. 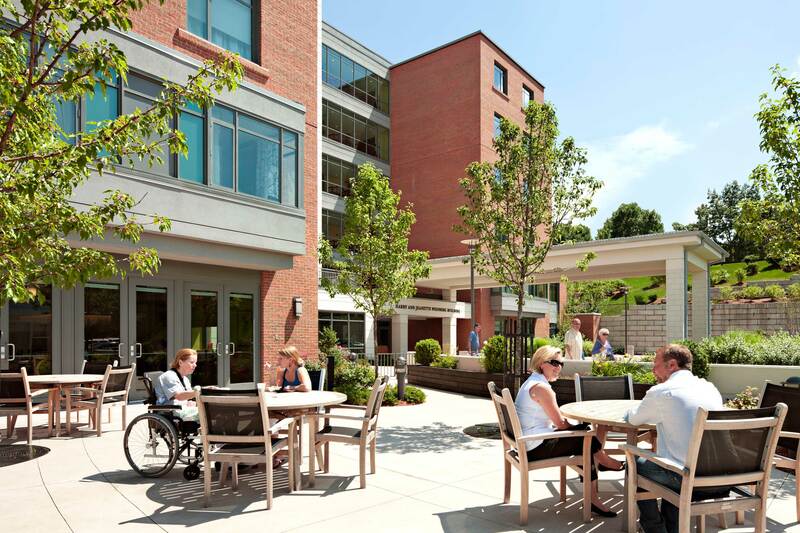 The new Leonard Florence Center for Living is a community that serves 100 residents. 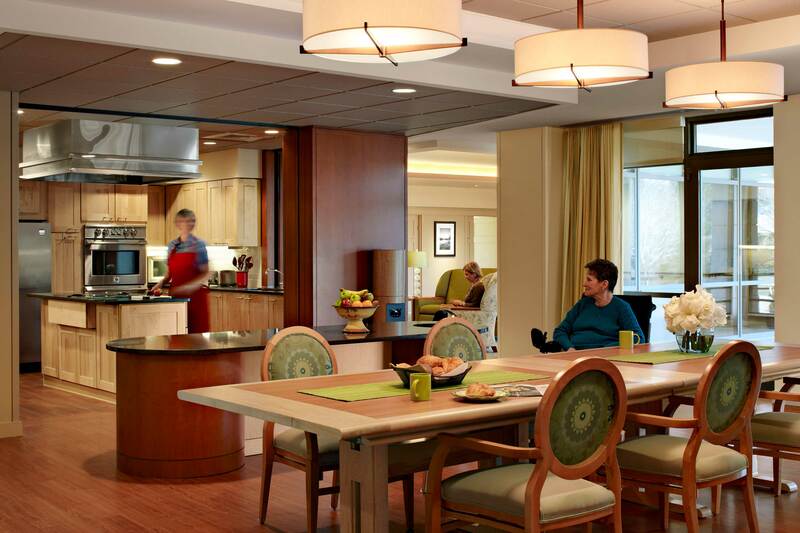 A holistic care-giving model, it is broken into ten, 10 person households modeled after an urban apartment. 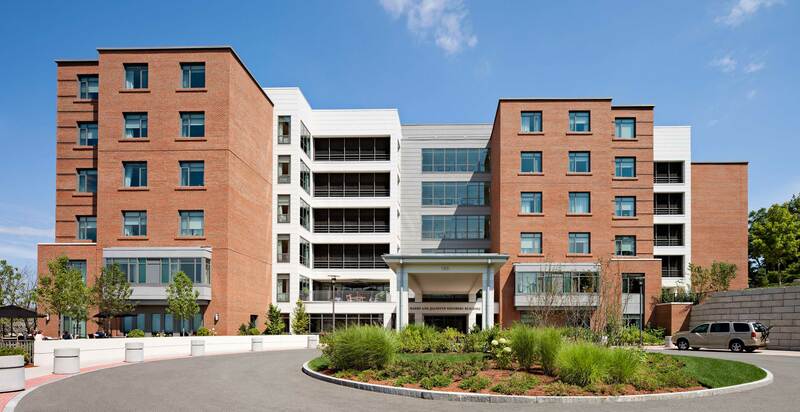 Of the ten houses at the Leonard Florence Center for Living, two are set aside for the care of individuals with Amyotrophic Lateral Sclerosis (ALS), commonly known as Lou Gehrig’s disease. 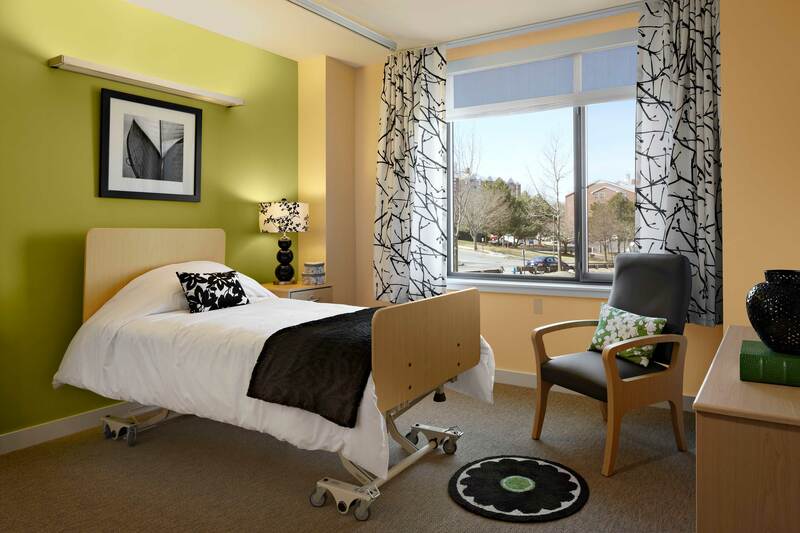 These innovative, cutting-edge houses link the latest technology with the finest caregivers trained in the field of ALS. 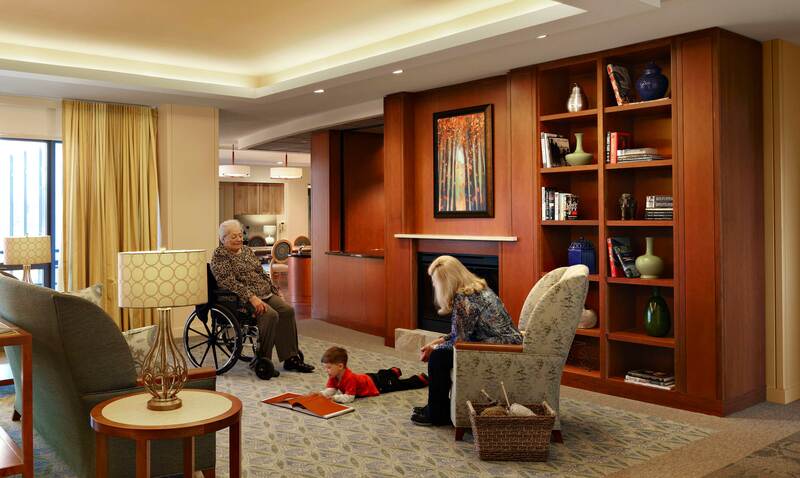 The household design encourages interaction among residents and caregivers to foster a family community. The resulting community, located on Chelsea’s Admirals Hill, provides skilled nursing care in an environment that bears little resemblance to traditional nursing Each house provides the comforts of home: a living room with fireplace and hearth and a dining room with a family table, providing a place where residents can be enticed by the aromas of food prepared by caregivers in the open kitchen and enjoy meals of their own choosing. 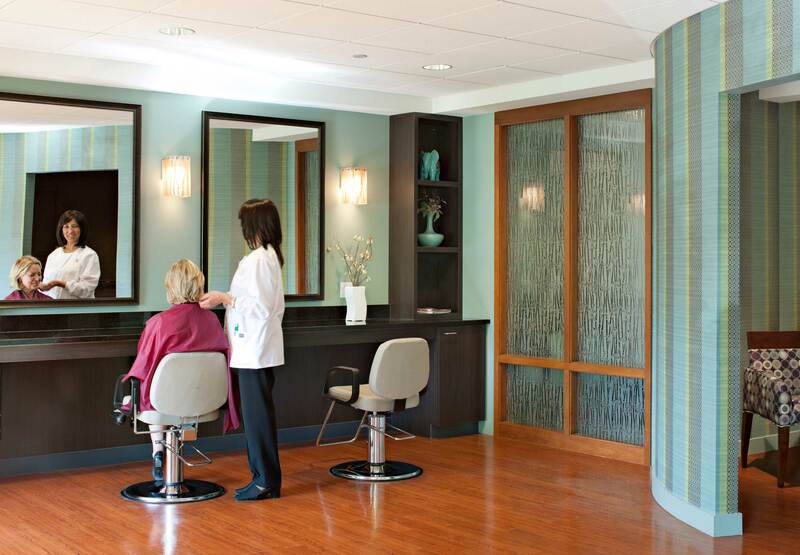 Resident accommodations include private bedrooms and bathrooms with showers. 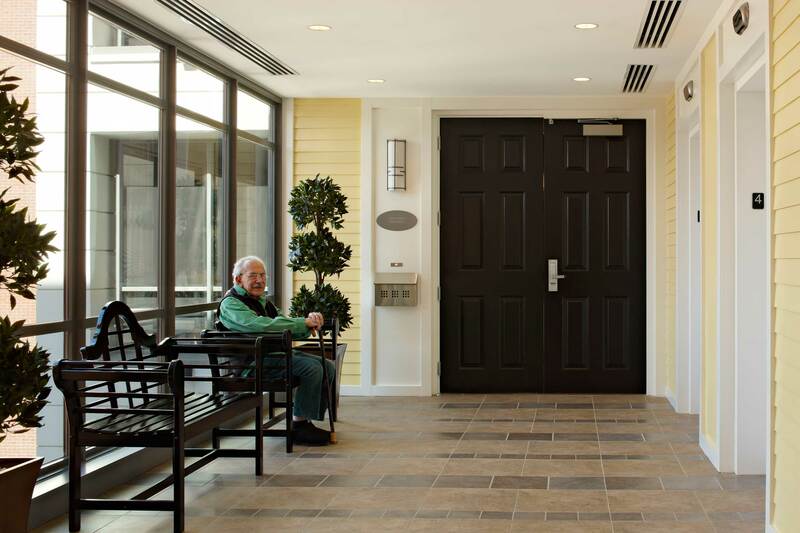 Universal design features are seamlessly integrated into the houses to encourage independence, while also providing support to residents requiring long-term skilled nursing care.